Designed to help you get the most out of your rekordbox software, the Pioneer DJ DDJ-XP1 controller is sure to inspire you to create unique sets. 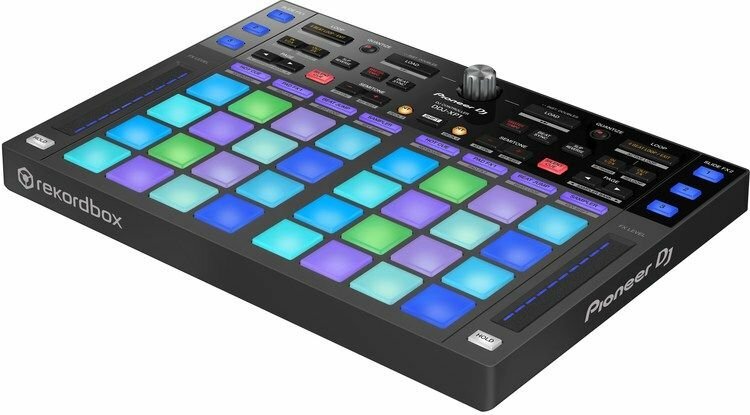 Use its 32 multicolored pads (16 for each deck) to select Hot Cues and trigger them in different semitones to create musical phrases. Use Key Shift to mix a combination of tracks in harmony by shifting their keys. Reach for the Slide FX strips aside either deck to manipulate effects in real time. Complete with licenses for rekordbox dj and rekordbox dvs software, the Pioneer DJ DDJ-XP1 sub-controller for rekordbox is ready to add a lot of creative potential to your DJ rig. 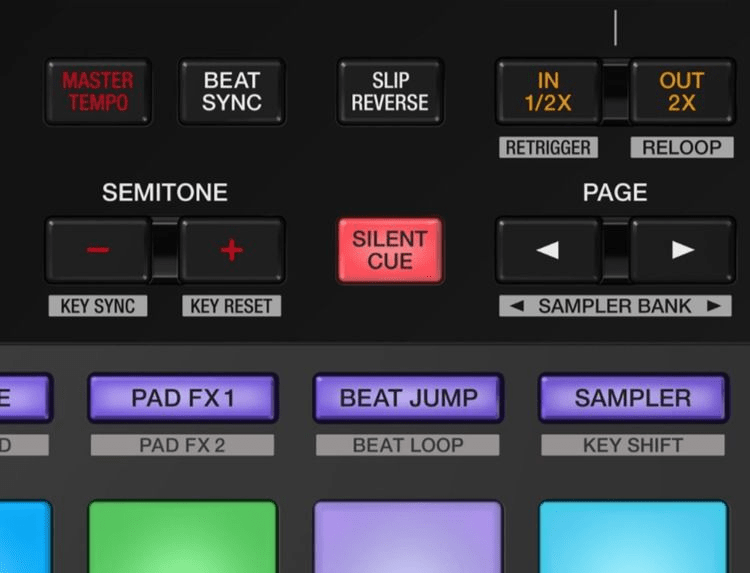 Use the DDJ-XP1's pad editor to customize the 32 performance pads for your personal performance style. 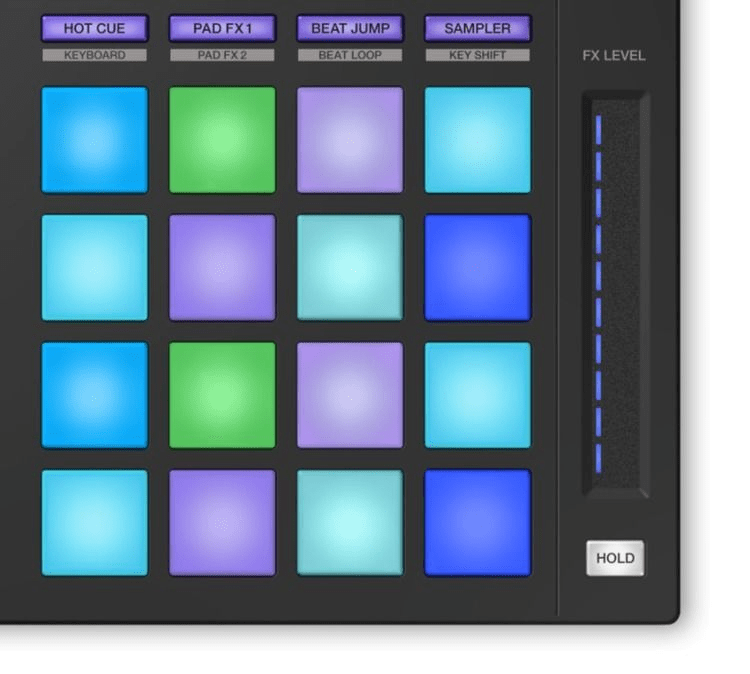 Maybe you'd like the top eight pads to select Hot Cues while using the rest of the pads for the keyboard feature. Or perhaps you'd like a different configuration for each deck. You'll be able to assign pad modes individually, allowing for a ton of flexibility when it comes to controlling your rekordbox software. When you're using rekordbox dvs and turntables, engage the DDJ-XP1's Silent Cue button before pressing play on a stopped deck. This will make the track start instantly, avoiding the speed-up effect caused as the deck revs up to full speed. 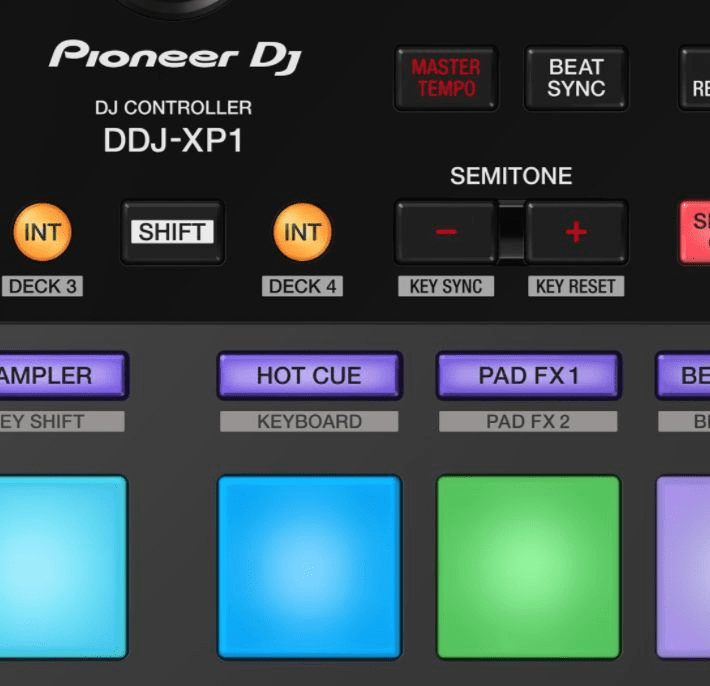 The Pioneer DJ DDJ-XP1 controller allows you to play with Hot Cues in musical ways. Either select a Hot Cue or create a new one, then use Keyboard mode to play the cue in different semitones with the pads. 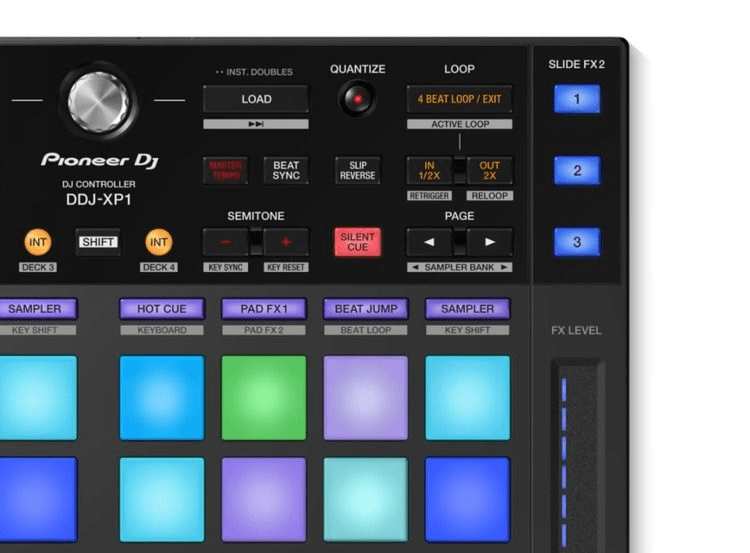 The DDJ-XP1 makes it easy to shift the key of a song on the fly. And with Key Sync engaged, your next track will automatically change its key to match the master deck. Anytime you want to reset the key shifts, just hit the Key Reset button.